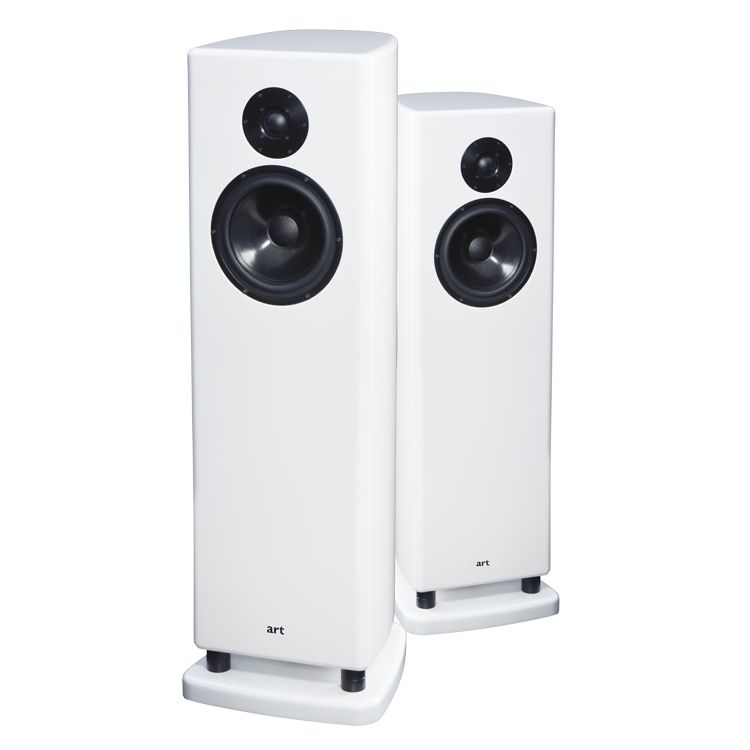 As with the other DRAM models, the DRAM 8 is a beautifully simple loudspeaker that will suit many musical fans. The cabinet utilises our new multi-layered construction with a choice of two different levels of tweeter, internal wire and components. The DRAM 8 has its Bass port firing down towards the integral stand allowing great flexibility in positioning of the speaker. The cabinets are finished with high gloss polyester Lacquer in any RAL colour and can also have any automotive finish applied with the deep gloss. More information can be found on the ART Loudspeakers website - here .